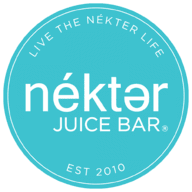 **Featured food and drinks are sponsored by Nekter Juice Bar. **ALL opinions are honestly rendered by yours truly. With NorCal's crazy summer heat nowadays, a very refreshing visit to Nekter Juice Bar was much needed last weekend. 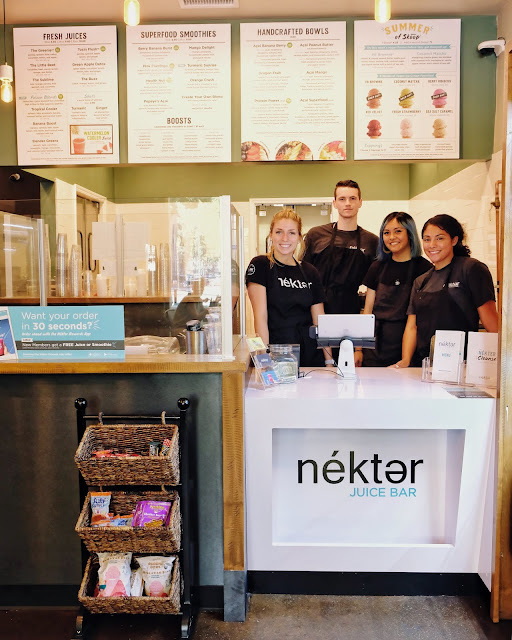 Nekter Juice Bar has been in business since 2010 but locations nearby me only opened in the passed recent years and I got to visit the one in Sacramento, Ca for the first time. 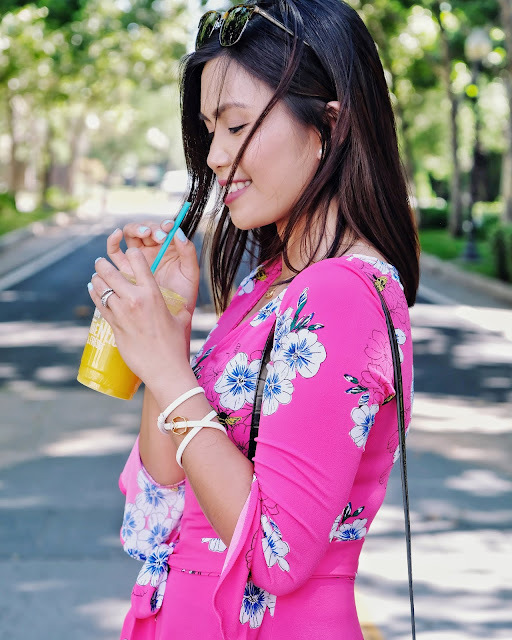 Both my husband and I were so excited because we both love fresh and healthy drinks and snacks. 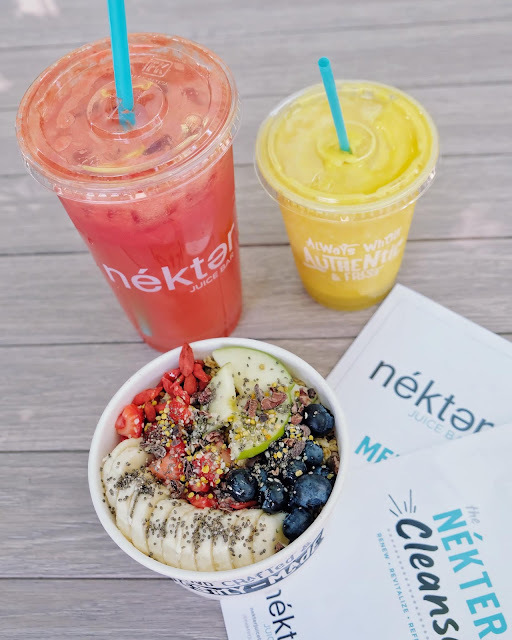 Nekter Juice Bar offers freshly made juices, smoothies and acai bowls without any mystery ingredients - NO hidden fillers, NO unnecessary sugars, NO processed ingredients & NO artificial flavors! With today's norm of "very" unhealthy lifestyle filled with fastfoods and sugary snacks/drinks, it is really difficult to be picky and be on the healthier side of living. 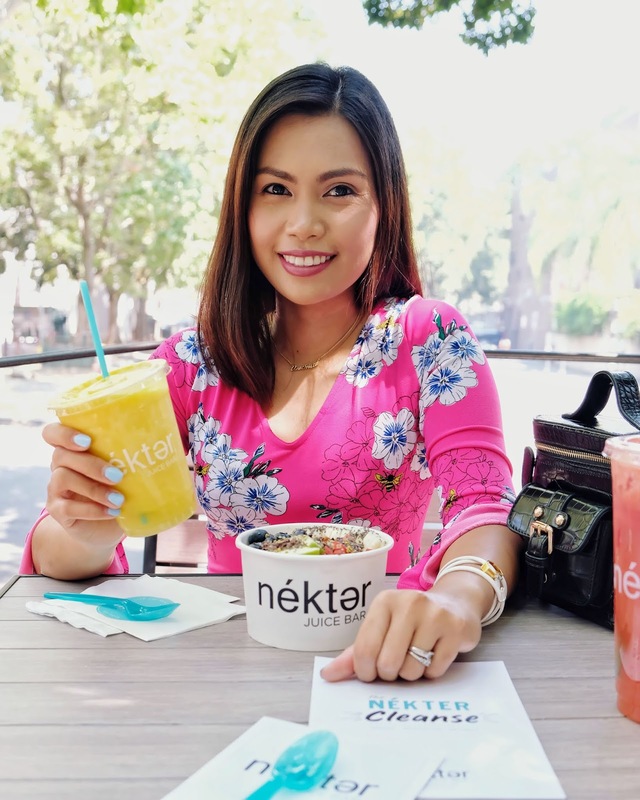 That's why I am really proud and glad for businesses such as Nekter Juice Bar that help people and the community to be aware of and to experience drinks & snacks that are fresh, clean and nutrient-rich! 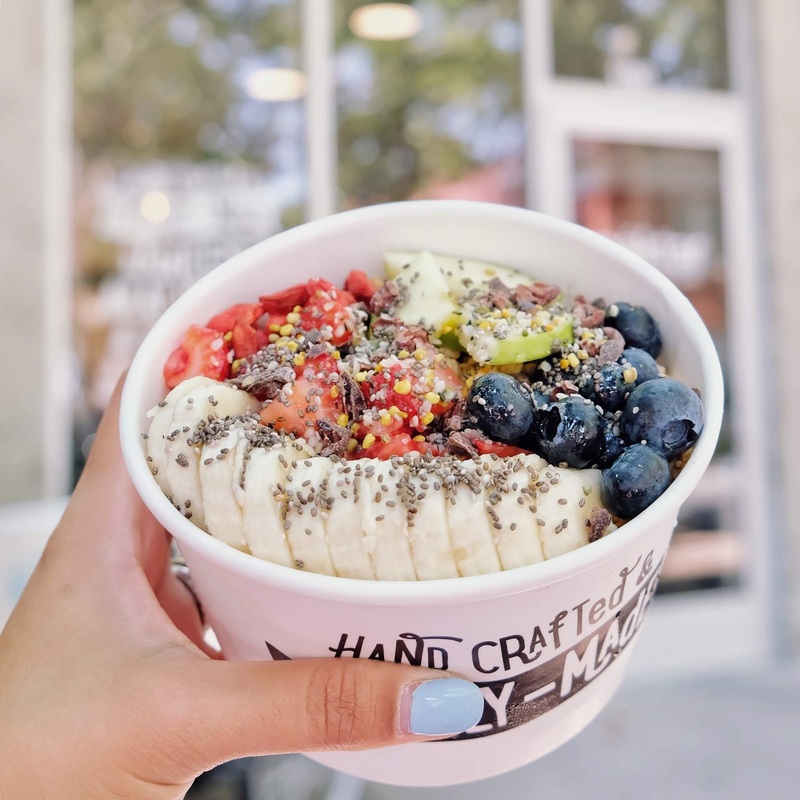 On our visit, I appreciated how the store is very neat and clean, how the menu is beautifully simple, and how friendly and very accommodating the staff are and the business owner as well.. Great crew indeed! They seriously tasted so fresh, packed with real fruits! And most importantly, they were so refreshing and light that's perfect for summer! The prices are very reasonable for the value of each item - real fresh fruits, no preservatives and beautiful assembly/packaging. 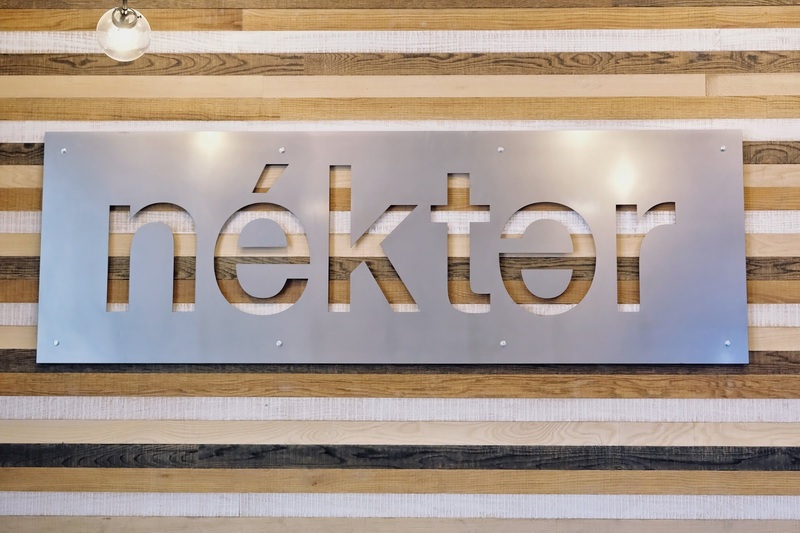 Also, the benefits of Nekter's juices/snacks are amazing! Each juice has 3 pounds of fresh fruits and veggies that are naturally anti-inflammatory. They help in improving digestion, they boost immunity, they increase energy & they add glow from within. Aside from their delicious products and beautiful store location, I also love the Nekter's Loyalty App! 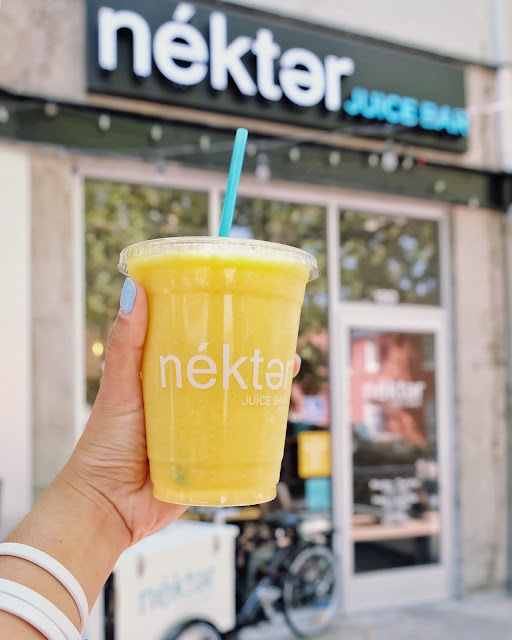 Download the app, register and everytime you visit and make an order at any of the Nekter Juice Bar locations, scan your barcode and earn fruits (10 fruits = 1 free menu item). Its rewards also include a treat on your birthday and exclusive offers! 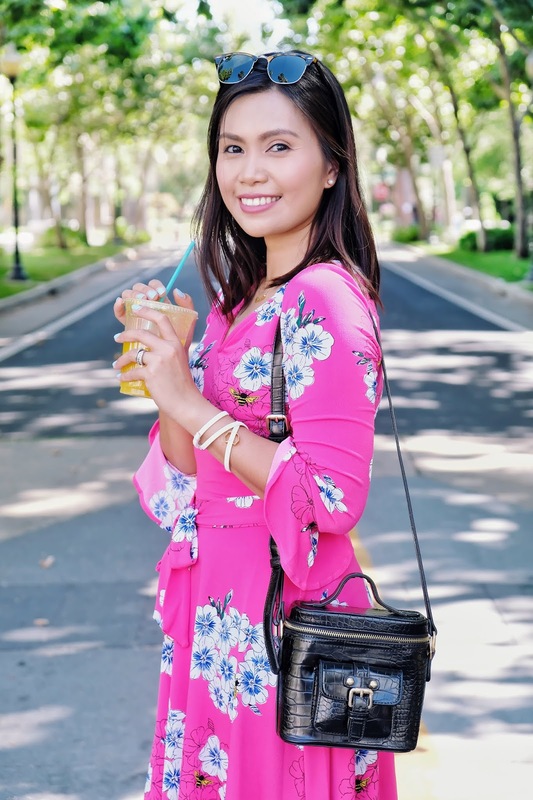 What I enjoy the most using this app is skipping the line by ordering on the app and picking it up at the store - just perfect for busy & in-a-hurry situations! 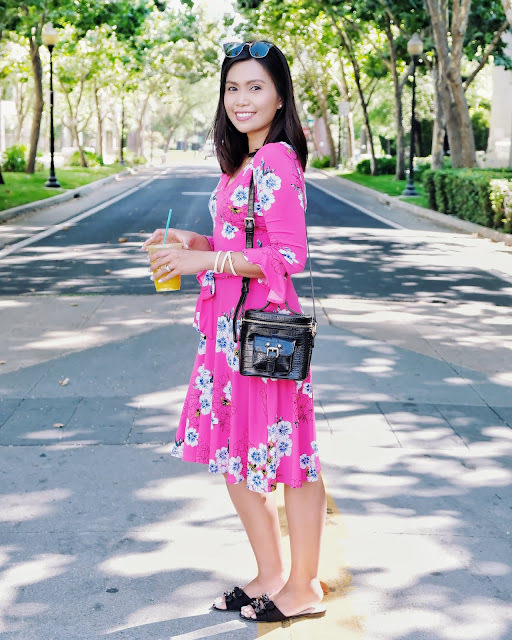 And on me that amazing weekend is the beautiful Ilana Flounce Sleeve dress in Hydrangea Bloom from Leota New York matched with the Voyage Croc Bucket purse from Modaluxe and accentuated with the gorgeous armbelt in white and gold from SamBySabrina. This is my third dress from Leota New York and they never fail to surprise me! 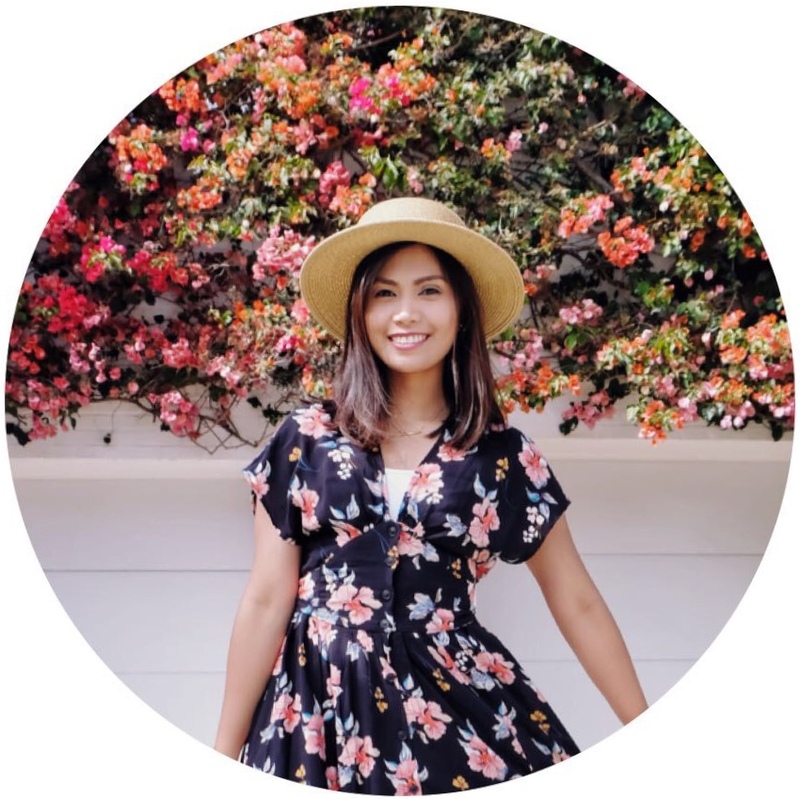 Flattering fit, amazing fabric and vibrant prints are Leota's hallmarks and they are all evident on this dress! I love its fit, feel and colors! Head to this link to see Leota's new arrivals and you'll fall inlove - I say that with certainty. The Voyage Croc Bucket purse from Modaluxe is a cute, comfy, fancy looking purse that's perfect for any type of occasion. And yes, like I said before, a woman can never have enough black purses! lol. If you're a huge purse type of woman, this is not for you.. Although I do love huge purses too, nowadays I am more into smaller ones, like this purse's size. And eventhough it may look too small, it was able to carry my essentials - phone, wallet, hand lotion, sanitizer, facial napkin, lipgloss, eyeliner and powder! 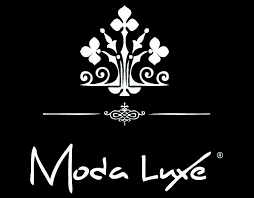 Check out the gorgeous new collection of bags from Modaluxe here. And lastly, the ever eye-catching armbelt in white and gold from SamBySabrina completed my look that weekend! 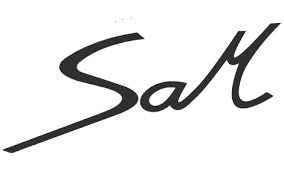 This sophisticated jewelry piece is designed by CEO Sabrina Mitler who has been working in the jewelry & accessory business since the age of 18. Her jewelry collections are so amazing that each piece is so unique as far as composition, design & value. I would really recommend checking out her jewelry line here. Another beautifully crafted and timeless piece has been added to my collection of fave jewelries. Thanks again for reading and hoping you all have a wonderful weekend ahead!